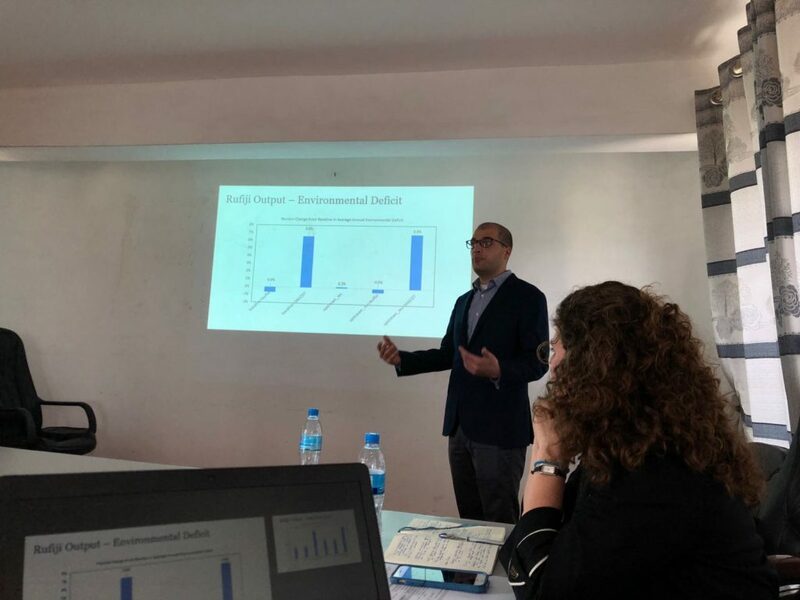 The mission started in Dar es Salaam, as the mission team met with other World Bank groups to discuss initial results of the Rufiji and Wami-Ruvu modeling analysis. This work was based on inception meetings held during the previous mission to Tanzania, in January 2018. The other World Bank teams were helpful in providing country specific insight and guidance on presenting and framing results for a local audience. 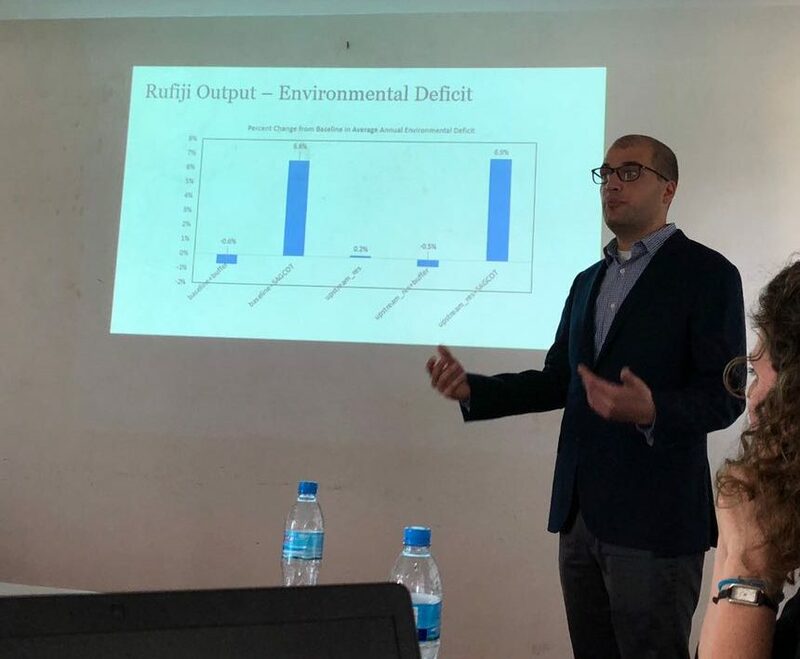 The team then traveled to the capital, Dodoma, to present the same results to the Ministry of Water and Irrigation and Rufiji and Wami-Ruvu BWBs. Generally, much of the discussion focused on the relative merits of increased management versus construction of infrastructure in governing the basin. Tips from MOWI for both basins included a focus on abstraction permits (particularly because buffer zone enforcement may spatially redistribute demand rather than reduce it) and reductions in demand via technology rather than top-down enforcement. The team also met with stakeholders in each basin, some of which were present during the advance. Present were representatives from the Office of the VP (environment), Ministry of Energy, Natural Resources, and National Irrigation Council. The stakeholders had some good feedback for the HRG including directing the consideration of small upstream dams in the Wami-Ruvu and provided some more detailed insight into forestry management practices. The second objective of the mission was to hold inception meetings and stakeholder workshops with the Pangani BWB in Moshi. The HRG is beginning the Freshwater Resilience by Design work in the Pangani basin, and this full day workshop was meant to kick off this collaboration with the board. The day began with a kickoff meeting at the PBWB office, in which stakeholders from across the basin were invited to provide input on their needs. Stakeholders included the Nelson Mandela Institution, Arusha water supply, TANESCO, conservationists, a WUA chairman and board member, the Tropical Pesticide Research Institute, TPC Sugar, and the National Irrigation Commission. The PBWB gave a short presentation outlining details of the basin. The Pangani BWB presented a background of the basin and enumerated key challenges and issues that require intervention during their presentation. These challenges were helpful to spark conversations during the later sessions of the day. Alec Bernstein presented the Freshwater Resilience by Design methodology to the stakeholders and initiated the discussion to start the analysis. Four discussion centered around Challenges, Investment Options, Future Unknowns, and Targets/Goals. The discussions were useful for the HRG team to frame the analysis and gain an understanding of existing challenges and interventions already ongoing in the basin. The team also was able to meet with some technical members of the Pangani BWB during a separate meeting. This was useful to transfer data and get a better understanding of the existing technical data and modeling that has been done previously in the basin. 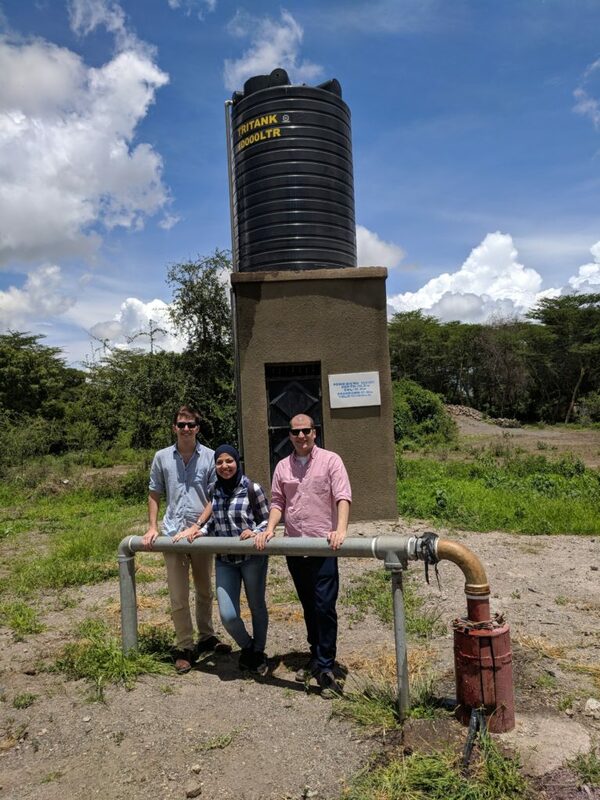 The UMass HRG team and WB consultant, Jonathan Lala, at a borehole in the Pangani basin. The team was also able to visit several field sites during the mission to gain a better understanding small and large scale irrigation practices. The mission team visited small scale farms in the Moshi area. The first stop was to a groundwater pump installed by the Pangani BWB. The water from this pump was piped into a rooftop tank and then directly into a nearby irrigation canal to supplement its baseline flow from a nearby river during the dry sesason. The canal began at a small tributary of the Pangani and the small check dam is used to divert surface water flow during the dry season. 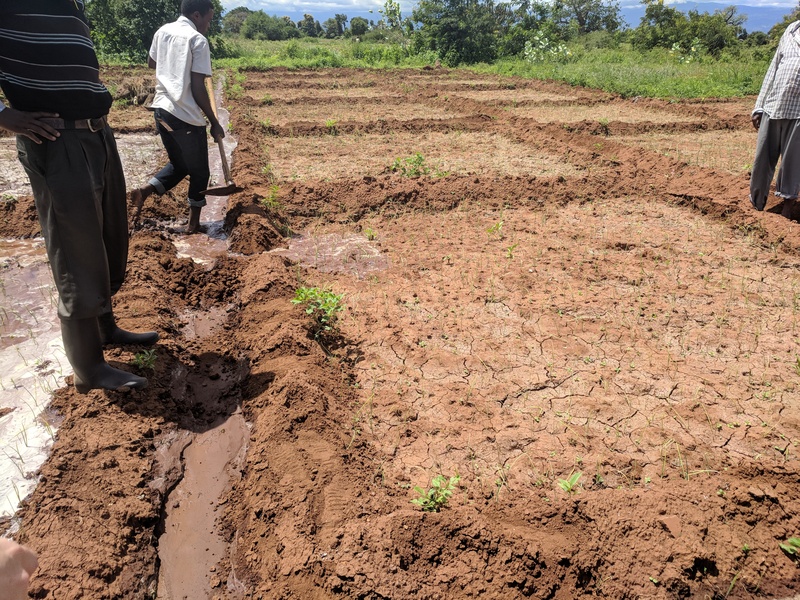 The team also visited a smallholder farm, in which young onions were cultivated via flood irrigation before being transferred to a new field once semi-mature. Irrigation was delivered via unlined furrows, which highlighted the opportunity for possibly investments in education and canal lining to increase water use efficiency. 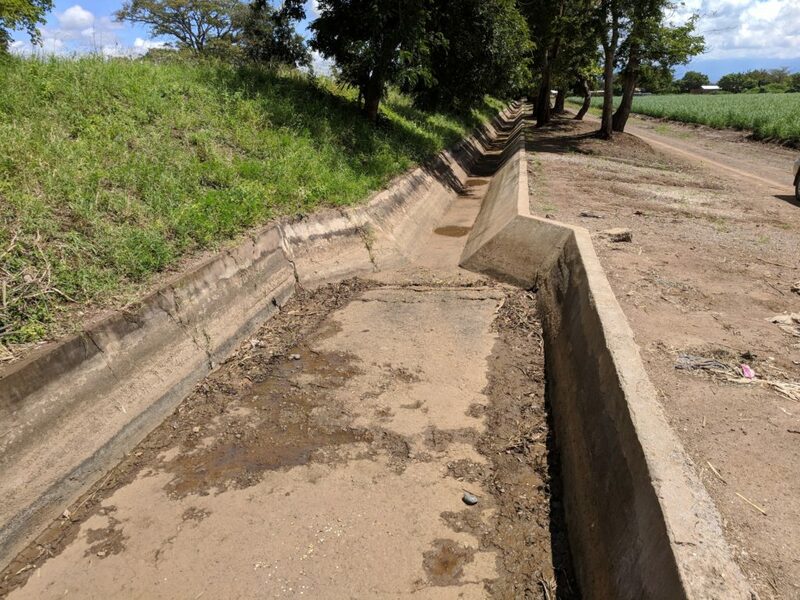 The local WUA have a schedule for water use, and water is diverted during different time periods to different farmers through this rudimentary network of hand dug irrigation canals. Farmers get water, perhaps 3x per week, and flood their fields. During the field visit, infiltration rates could be seen to be quite high, and the flooded fields absorbed most of the water while the team was observing. The team also visited the TPC sugar plantation and surrounding villages near Moshi, which provided insight into the conflicts between water users. Much of the visit to TPC was spent talking about their irrigation practices and their conflicts with a downstream community regarding the Miwaleni Canal. The sheer size of the plantation made them the 2nd largest water user in the basin, after TANESCO. Because rainfall in the area is only 550 mm/year, and sugarcane requires 1300 mm, 1200 mm of irrigation is applied per season (80% from surface water and 20% from boreholes). 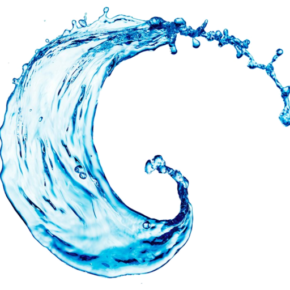 The plantation has taken steps to improve its water use efficiency (lining canals with concrete or HDPE, conversion from furrows to semi-solid or drip irrigation), but it is still water stressed, and groundwater levels are dropping. The conversation then turned to the Miwaleni Canal. Abstractions from the canal has brought them into conflict with a local community, Kahe, whom TPC accuses of illegal abstractions and sabotage. The team also met with community members from Kahe, who disputed the claim that they had expanded irrigated areas. Both sides agreed that the government, perhaps with Bank funding, should invest in ways to improve efficiency. TPC specifically mentioned lining the canal and sub-canals, and encouraging the cultivation of less thirsty crops. 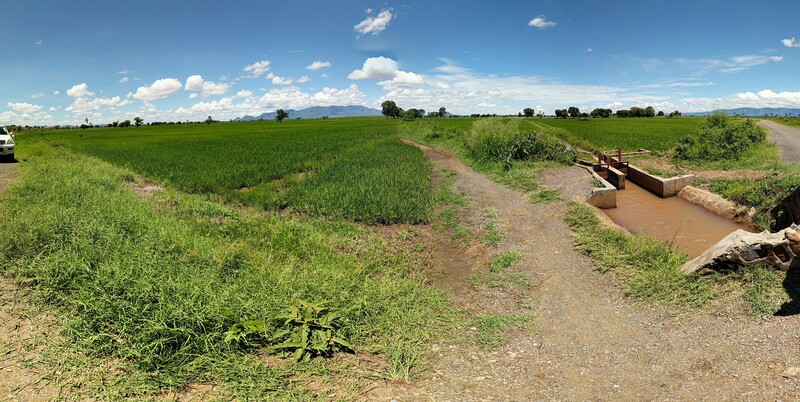 Most of the agriculture in Kahe is devoted to rice, planted and harvested twice per year. A water officer from PBWB suggested that education may be able to convince the farmers to plant a different rotation of crops, such that they make more money with less water. 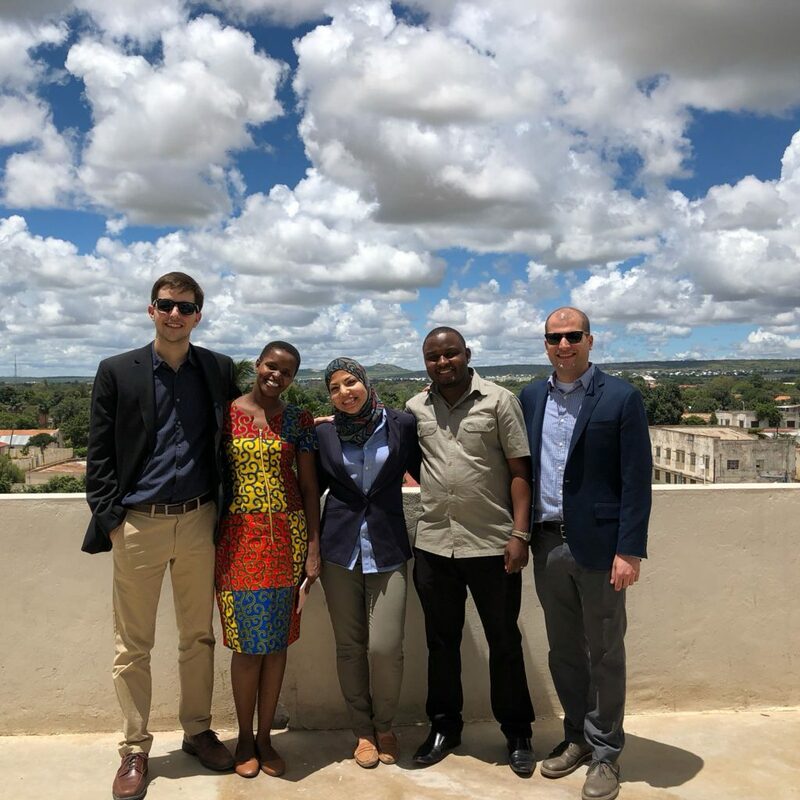 The mission ended in Dar es Salaam, where Alec and Mariam met with technology partner Code for Tanzania and conducted several meetings to close out the mission at the World Bank. The mission overall was a success. 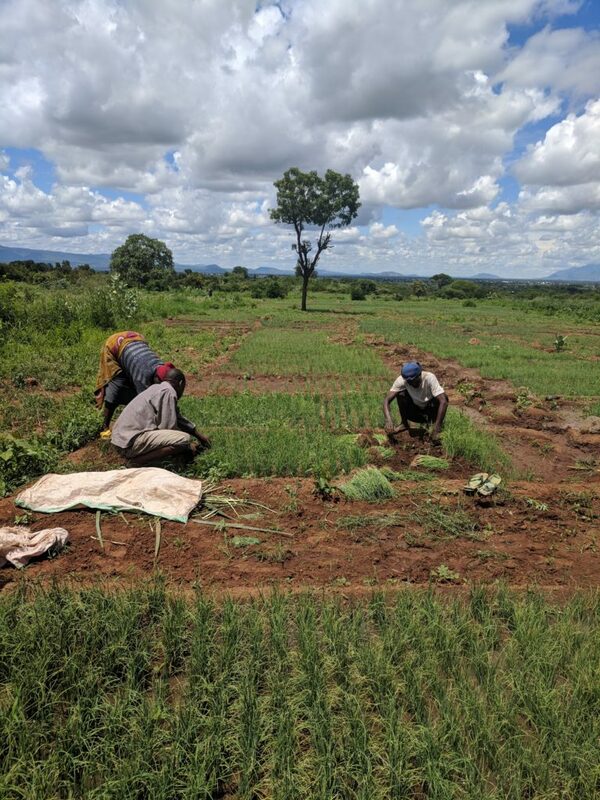 The HRG team was able to receive very useful feedback on the initial modeling results from the Rufiji and Wami-Ruvu modeling, and began a collaborative partnership with the Pangani BWB. Formal canal structures at the TPC sugar plantation near Moshi, in the Pangani basin. Note, during the rainy season, these canals are not used.